For over ten years I have been waiting [im]patiently for this book to finally be published. From 2005 when Pullman first really mentioned he was working on it I have waited. I’ve check update after update, any little mention from 2005, 2007, 2012 when Pullman said he was taking over a year off everything just to work on it. When the “late 2016” possible publication was announced I was excited but also doubtful, when that got pushed back to 2017 I was heartbroken. When that 19 Oct date was announced in February this year I may have lost my little mind. Then I had to wait, but it finally happened. I finally got it, I finally read it, and I have to say, my word was it worth the long wait. The Book of Dust is everything I possibly imagined it to be and more. It is a beautiful and magnificent book that draws you right back into Pullman’s world, so much like ours but still completely different. It’s familiar, but not too familiar because it takes place away from the Oxford we know but still feels like slipping into a well-loved pair of shoes. I fell in love again almost instantly and the more I read the more drawn in I became. Every turn of the page I was almost in tears of happiness and I loved this new side of this world we got to explore. (As I said, I have a slight obsession with this series and I have been waiting a long time for this book, so no judgement please). Pullman’s new characters are as fully formed and unique as his existing ones, and those we’ve met before (technically) are also introduced as if we’re meeting them for the first time, such is the benefits of having a new point of view to focus on. Malcolm Polstead is a great voice to tell this story; he is young, can come off as a little simple or naive, but shows strength and determination when needed. His loyalty and friendship for others, and his love and protection over Lyra is his driving force. His sense of what is right and what’s wrong is clear, and he has wonderful guidance around him to direct his curious mind. I loved Malcolm. I loved his love of Lyra, and I love his childlike wonder and innocence. Having only really seen Lyra’s interactions with Pan as the example of child/dæmon relationship, it was great seeing Malcolm and Asta’s connection. Pullman also includes subtle and brief bits of information about the daemons through the story, and uses childlike curiosity to cover any questions, much as he did in His Dark Materials. What I found interesting was that Lyra’s role is so small, she is just a baby after all, and yet she is the entire point of the book as well. One thing I adored, and actually had never thought about before was babies and baby daemons. There’s plenty of children’s daemons in the trilogy, but babies not so much. Seeing baby Lyra and baby Pan interact was joyous, and every time they’re mentioned I found myself aging them forward to the wild girl and dæmon ten years on and thinking of all the great things they were going to achieve. Important things to note, there is some swearing in this book, one of the Big Ones I guess you could say is said by a few characters. Pullman has used them well so they work, but it was a surprise when they appeared. Also, there is a darker story here, it’s a bit more brutal at times, nothing too explicit, but just darker. Pullman has also said numerous times this is not a sequel or a prequel, he calls it an equal, a companion piece. I would agree in as much as it is separate from the trilogy, and even separate in part from the follow up books he did. But my opinion is you do have to read the original three first. Very much like Star Wars you need to have experienced all that there is in the originals before you go back to the Before. Knowing what it all means and to know the grandeur and power it holds is more impactful as you read this book. Secrets from the trilogy are openly discussed, mysteries are no longer mysterious as they play out before you. All of which is fantastic mind you, but knowing that they have been secrets means that reading the trilogy after this will not have the same effect at all in my opinion. Though I would be interested to speak to someone who does read this first. When I finished reading I did find myself with a few tears. Not so much for what happens but for all of it: for the big, gorgeous new story, for Lyra and Pan and Malcolm and his beloved canoe. For the strength and love Malcolm has, and the beautiful innocence and unbridled sense of doing what is right. And of course, because who can read any book about this world and not end up in beautiful tears of happiness? When I finished that last page I wanted to hug the book close to my chest because it was perfect in all the ways that mattered. Pullman brought long time devoted fans the book they’ve been longing for for over ten years. He made us wait, but for what has come of that waiting I couldn’t ask for anything more. I can only imagine what is going to come in the next two volumes, and I’m sure Pullman will come up with something much better than I ever could imagine. 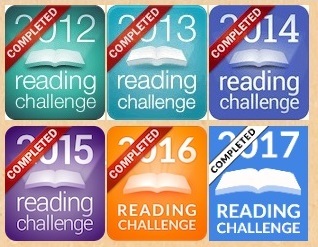 In a Sydney Morning Herald article Pullman said that the second book is written but not yet edited. With a hopeful release date of next year I have something to look forward to that’s much less vague than it has been. 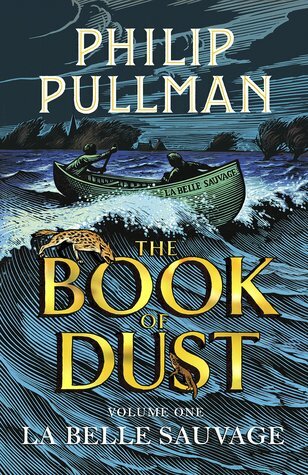 If you’re interested, it’s a great article, Pullman talks about his Australian connection to parts of La Belle Sauvage, and his experience with the whole writing experience.